The Model 535A maintains the ruggedness of the industry workhorse while adding features that make the threading operation more productive. A large chip tray and oil reservoir make the 535A ideal for longer uninterrupted threading. The 535 features a high clearance carriage that makes the threading operation easier and a generous top cover area that is ideal for keeping tools and work related materials handy. The 535A is designed around maximum uptime with the upgrades that matter most to the pipe working professional. 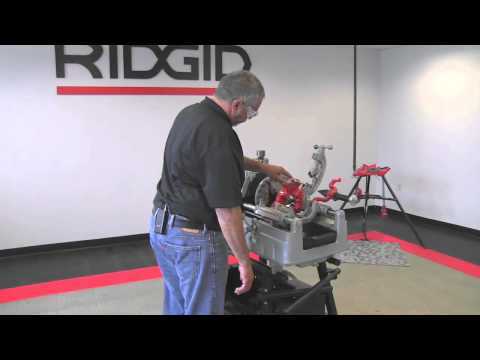 Users also benefit from the part commonality between the 535, the 535A Automatic and other RIDGID® equipment. Large 6.6 l (1.75 gallon) oil reservoir. Generous top cover area for keeping tools and fittings handy. Can be used with geared threader Model 141. Uses Model 816/817 semi-automatic, Model 815A self-opening or Model 811A quick-opening die heads. 17-gauge steel walls and welded construction. Two internal and one external storage shelves. Oversized bi-fold door with steel clasp. Cut-outs for power cord and foot switch storage. Two drain plugs for easy cleaning. Pipe Capacity 1/8"-2" (3 mm-50 mm) 2 1/2"-4" (62 mm-100 mm) with 141 geared threader. Bolt Capacity 1/4"-2” (8 mm-50 mm). Switches Forward/off/reverse and integral safety foot switch. Chuck Automatic with four reversible forged jaws. Rear Centering Device Automatic, centering only. Model 820 Wheel-Type Cutter, pipe capacity 1/8-2'' (6-50 mm), bolt capacity 1/4-1'' (8-25 mm). Model 821 Blade Type Cutter, pipe capacity 1/2-2'' (15-50 mm). Reamer 5-flute cone, RH, 1/8"-2" (3 mm-50 mm). Oil Pump Self-priming gerotor oil pump. Model 535A Automatic Threading Machine is rated 3.8 out of 5 by 8. Rated 1 out of 5 by Tinner from motor is or transmission is burned up after only 3 months of use we ordered the unit in January 2018 and did not receive it until May 2018. we have used it for 3 months and it has been fine until the motor burned up. we are in the middle of sending it to one of your service centers in Utah. at this point I would not recommend this unit to anyone. not worth the $$$$ we spent on it. Rated 5 out of 5 by waterhog from An excellent machine and easy to use. This unit makes the job easier and quicker to complete. With the automatic oiler it lets you focus on cutting and threading and increases the efficiency. Makes big jobs easier! Rated 3 out of 5 by Vinnie from This is a durable unit. I wish the die heads came with an auto release because this machine now requires more operators input. Rated 1 out of 5 by carneyr from This product is terrible We have used an old 535 for 30 years and felt it was time to get a new machine. The new 535A has an auto locking jaw that does not hold the pipe. Every trades man working here complains about it. 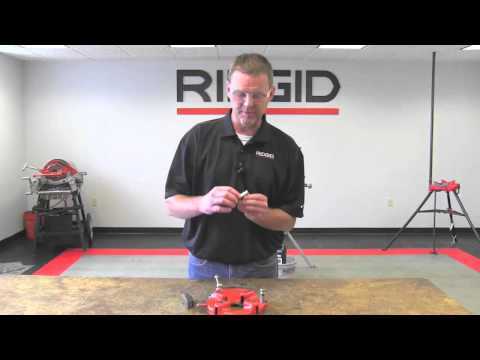 The old 535 was a perfect machine, Ridgid had to screw it up. Rated 5 out of 5 by pipefab101 from This is great for a mid volume threading needs. This machine is great. Quick and reliable. We run about 50,000 threads a year through the machine. The Automatic die and jaws are great for production. Rated 5 out of 5 by Mnlcoll from This product fits all your needs We use this machine every day in our fabrication shop. We work in a facility that covers 2.5 million sq feet. This machine fits all our fabrication needs. Great quality. Built to last. Does everything we want it to do. Thanks for writing to us! 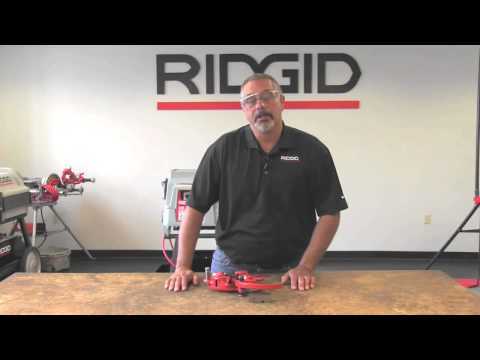 Pricing and available can be provided by your local RIDGID Distributor. 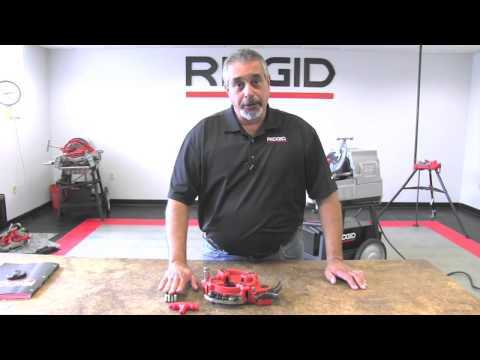 To find your nearest, please visit https://www.ridgid.com/us/en/where-to-buy. We use the 535A to thread rod (bolt thread) the jaws of the 535A do not thighten on the material. I saw in the reviews that you can send instructions to tighten the jaws on this machine. May I have a copy of those instructions? These are the (4) jaws that grip &amp; hold the material on the auto locking chuck. 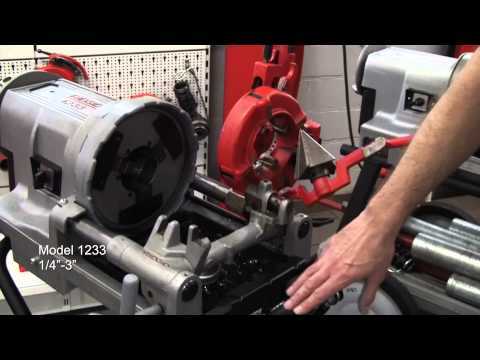 Are there any instructions/demonstrations for using the 535 with the 141 geared threader?